Akshat Verma's upcoming black comedy Kaalakaandi, by virtue of its genre, seems to tread on the fine line between grimness and humour. The same goes for its music, which has been composed by a host of fresh minds, predominantly that of Sameer Uddin. Uddin, who also composed the fun number 'Badass Babua' from Ashwini Iyer Tiwari's romantic comedy Bareilly Ki Barfi last year, is a good choice to concoct an album that is both badass yet has the desi swag. Since Kaalakaandi essentially aims to bring home the idea that a metropolitan city is home to people from all walks of life, it was necessary to get a pan-Indian appeal or at least a regional touch to the album. That is why the makers do not stick to one composer and also rope in a couple of others, including Jaipur's Shashwat Sachdeva, who comes up with arguably the best track of the album. The title song encapsulates the inclusive spirit of the film as it is a fine blend of Indian classical instruments like dholak and sarangi and Western instruments like piano and guitar, bridged by the energetic vocals and quirky lyrics. Sachdeva, who made his music debut with Anshai Lal's period romance Phillauri last year, takes a detour from the warmth of that film and presents an in-your-face track. He also provides the vocals, along with his Phillauri team comprising Vivek Hariharan and Romy. It is only befitting yet equally surprising that they are joined by Anvita Dutt who has penned the lyrics that fit perfectly not only with the mood but also the composition of this self deprecating song. It comes as a delightful surprise that she is also the wordsmith behind 'Ishq Wala Love' from Karan Johar's 2012 romantic comedy Student Of The Year. Another song that comes a close second is 'Kaala Doreya'. While it has a better recall value, a major chunk of credit goes to its folk origin. The lyrics and the tune have been kept intact to retain its original essence in order to accommodate in the album as a wedding song. Uddin has electronised and streamlined the song to make it less seamless. The best part of the song, however, is the vocalist Neha Bhasin who also commendably mixes her pop origins and acquired classical singing skills, that gave the audience hits like 'Jag Ghoomeya' from Ali Abbas Zafar's 2016 sports drama Sultan. The third song is memorable for its name, 'Swagpur Ka Chaudhary'. One can predict how the song will unfurl which takes away from the unpredictability of the album. It is an enjoyable song nonetheless, written and sung by Abhishek Verma who was one of the voices behind 'Loonga Loonga' from Anurag Kashyap's 2012 crime drama Gangs Of Wasseypur. Abhishek brings the signature Bhojpuri swag to this song as well and Uddin gives him a free hand. 'Swag' has become the operative word for songs of multiple films now. Case in point: 'Banno Tera Swagger' from Aanand L Rai's 2015 romantic comedy Tanu Weds Manu Returns and most recently, 'Swag Se Swagat' from Zafar's spy film Tiger Zinda Hai. Diametrically opposite to 'Swagpur Ka Chaudhary', however, is 'Jive With Me', a jazz number that one can merrily swing to. It captures the mood of the more 'polished' inhabitants of Mumbai whose idea of enjoyment is clinking of wine glasses while swaying to live trumpets and violins. 'Jive With Me' is a typical such number, composed by Uddin, penned by Dutt and sung by Abhishek Nailwal, who collectively keep up the glib mood that the genre entails. The fifth and final track, 'Aa Bhi Jaa', is the most familiar sound of the album, which in its defense, is still quite unconventional. 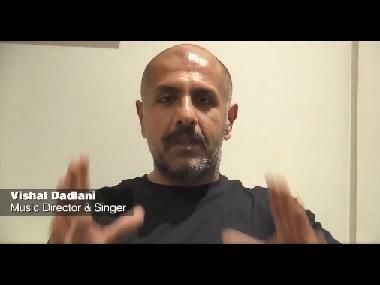 Vishal Dadlani's seasoned vocals elevate it but it is certainly not his best work yet. Composed by Uddin and written by Dutt, it sounds like it would best serve as background score. But a good one at that. Overall, Kaalakaandi has quite a wide spectrum to offer, in terms of genre and voices. But none of the songs is either too melancholic or excessively feel-good. They are laced with a tinge of grey, an area where all mortals operate. The music however, just like its central character, is rather short-lived. 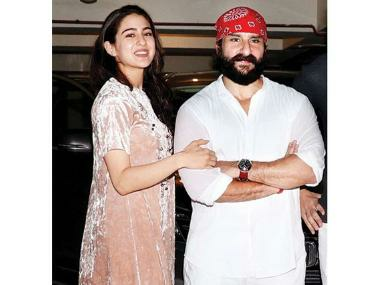 Kaalakaandi stars Saif Ali Khan, Kunaal Roy Kapur, Sobhita Dhulipala, Akshay Oberoi, Shehnaz Treasury, Deepak Dobriyal and Vijay Raaz. It is produced by Rohit Khattar and Ashi Dua and is slated to release this Friday on 12 January, along with Kashyap's sports drama Mukkabaaz.